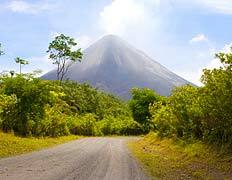 Costa Rica is approximately the size of West Virginia – about 20,000 square miles. Despite the small size, the country offers an incredible diversity of landscapes; from huge volcanoes rising from the jungle floor to sweeping white beaches, all terrain is a sight to behold. One very appealing part of Costa Rica for North American travelers is the relatively close proximity of the country and ease of access. While travel in Europe is on the decline, travel to this small Central American country is most definitely on the rise. Numerous new vacationers are being introduced to the unending beauty of this tropical paradise. 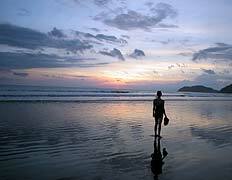 Costa Rica translates into “rich coast”, a name that it truly lives up to. The country has its origins as a Spanish colony established in the early 1500’s. In 1821 Costa Rica was granted independence from Spain and became a nation unto itself. This date of independence is celebrated each year on September 15th. The government of Costa Rica was founded on the ideals of a fair and just democracy in which health care and education receive the most attention while military spending is for the most part non-existent. In fact, Costa Rica has no standing army, it was abolished more than 50 years ago – law and order is maintained by domestic police forces. The country stands in stark contrast to its Central American neighbors, as peace has reigned here for hundreds of years. The Costa Rican people are a friendly and outgoing group. They are extremely courteous and welcome all types of foreigners with open arms. The primary language of the people is Spanish, but English is taught in all of the primary schools and most natives know a smattering. The literacy rate here exceeds that of the United States and other developed nations. In addition, nowhere in the World is the line dividing the rich and the poor so thin. For this reason, the majority of the natives are a happy bunch. This lack of disparity in social status also serves to reduce the crime rate here. Month: Jan Feb Mar Apr May Jun Jul Aug Sept Oct Nov Dec Avg. As you can see, if you don’t plan on venturing far from the villa – pack light! If you plan on visiting the cloud forests and lush jungle regions you are encouraged to pack layered clothing including something to keep you dry in the event of rain. The months of June, July, and August are commonly referred to as the Winter months, while November, December, and January represent the Summer. This distinction is almost unnecessary, as the climate is very stable year round. One note: the months of September and October often times receive heavy afternoon downpours usually between 2 and 4 p.m. (you can almost set your watch to this). However, most people enjoy the showers since they tend to cool things off a bit and the rains serve to enhance the lush vegetation. The Costa Rican government recognizes that the land (and creatures that inhabit it) is the country’s most precious asset. 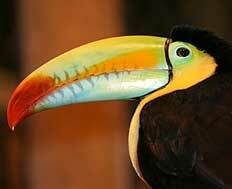 27% of the land in Costa Rica is environmentally protected. As a result, the already huge abundance of wildlife continues to flourish. 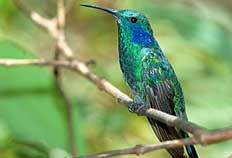 Here you will find 850 species of birds and more species of butterflies than the entire continent of Africa! 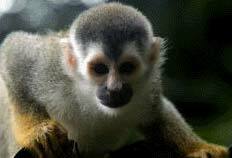 Monkeys, jaguars, sloth, and numerous types of snakes (including gigantic boa constrictors) can be seen here. The brilliantly colored coastal waters are also teeming with aquatic life of all varieties, making scuba diving and snorkeling especially rewarding. Perhaps even more amazing is the stunning array of vegetation and foliage that grows here. All types of flowers bloom freely throughout the country – the orchids and bromeliads in particular will dazzle the senses.